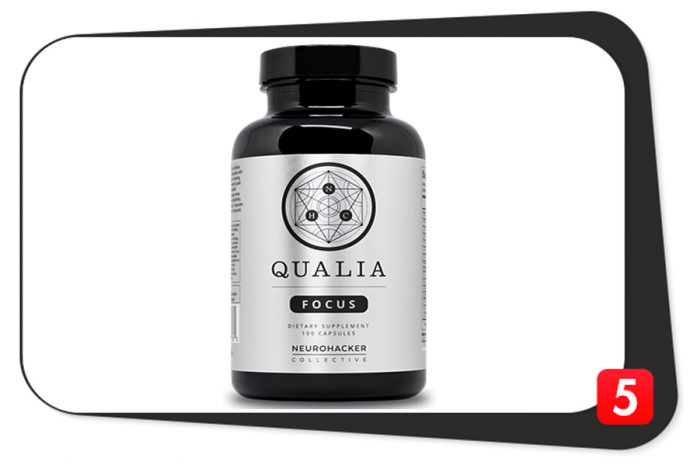 Qualia Focus is the newest addition to the Qualia nootropic lineup. It is a budget-friendly formula which gives you essential nootropic ingredients to enhance your mental performance. In addition, it also supports your overall health by providing you with essential neuro vitamins. Unlike other Qualia formulas, Qualia Focus is a simple nootropic formula which provides essential cognitive support without the BS. Qualia Focus only gives you the ingredients that you need, so you can remain at the peak of your cognitive performance for any task. 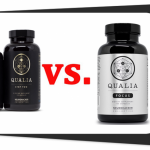 Qualia Focus entirely got rid of the issues of the original Qualia nootropic stack. Let’s read the Qualia Focus review and find out how it improves your mental performance. Twenty-four active ingredients. Unlike the original Qualia nootropic stack which contains more than 40 ingredients, Qualia Focus contains only twenty-four. The reason: these fewer ingredients have a more direct effect on your cognitive abilities which matter the most for your daily activities. Vegan. Qualia Focus is an entirely vegan formula from inside out. In addition, it is also gluten-free and non-GMO, so you only get pure and clean nootropic benefits. More affordable than other Qualia products. Now that that this Qualia variant only contains 24 ingredients, Qualia Focus is currently the most affordable Qualia formula on the market today. Nevertheless, it provides the same nootropic benefits you expect from the Qualia line of products. As a dietary supplement, take 5 capsules with water first thing in the morning before eating. If stomach upset occurs, take with breakfast instead. Optimal dosage will vary based on body weight and sensitivity. Do not take more than 7 capsules at once or more than 9 capsules in a day. 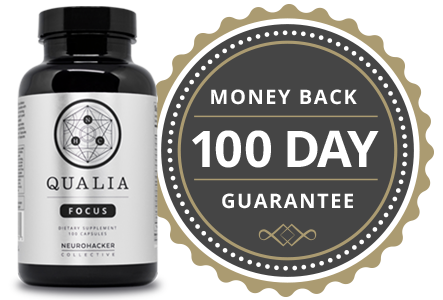 Qualia Focus is an affordable yet effective nootropic stack from Neurohacker Collective which optimizes mental focus, clarity, reasoning, and concentration. The primary difference of Qualia Focus from all other Qualia formulas is the price. However, since it is cheaper, you will compromise a few ingredients. Nevertheless, this formula enhances your focus for better daily cognitive function. 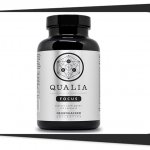 Qualia Focus provides the essential nootropic ingredients which enhance your cognitive performance. Our first impression: Qualia Focus is a sure-fire way of firing you up mentally. You can expect nothing less from Qualia Focus as a brain booster. However, does it really get rid of issues of the other Qualia stacks? Is the formula of Qualia Focus good enough? Let’s find out. Vitamin C (as Ascorbic Acid) –As a nootropic, Vitamin C has powerful neuroprotection and antioxidant activities. Moreover, Vitamin C enhances mood and immunity while delaying fatigue. In addition, it also provides neurotransmitter support by optimizing the production of dopamine, adrenaline, and noradrenaline. You can find vitamin C in many leading multivitamin brands. Vitamin D3 (as Cholecalciferol) – Vitamin D delays age-related cognitive decline in older adults. It is also an antioxidant with neuroprotective properties. In addition, the most important mechanism of Vitamin D as a nootropic ingredient is its support for neuronal survival and growth. Niacin B3 (as Niacinimide) – Is a neuroprotective agent with anti-inflammatory benefits. 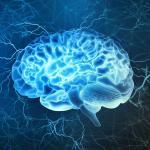 In addition, this nutrient is also essential for brain energy production and DNA repair. Vitamin B3 might also decrease age-related cognitive decline. Vitamin B6 (as Pyridoxal 5′-Phosphate) – Is the most active and absorbable form of Vitamin B6 which has significant nootropic effects. In addition, Vitamin B6 also plays a role in your mood, memory, and nerve cell function. Moreover, this essential vitamin is important for cellular energy metabolism which may also help increase overall brain energy. Vitamin B12 (as Methylcobalamin) – Is an advanced form of Vitamin B12 which provides neuroprotection and anti-aging properties. In addition, Vitamin B12 also improves your memory and enhance your focus while decreasing decrease neuropathy and neuropathic pain. Qualia Focus’ Vitamin B12 component (methylcobalamin) is the most bioavailable form. Vitamin B5 Pantothenic Acid (as Calcium Pantothenate) – Calcium Pantothenate is a synthetic form of Vitamin B5 which improves your mental performance by supporting your neurogenesis, concentration, memory, and learning. In addition, this nutrient is synergistic with cholinergic compounds to further promote brain function. Artichoke Leaf Extract (5% Cynarin) – Artichoke offers bioactive compounds which increases long-term synaptic potentiation to improve your memory. In addition, it enhances your brain’s executive function such as logic, mathematical, and practical reasoning. Bacopa monnieri Leaf Extract (45% Bacosides) – Bacosides are the main active ingredient of Bacopa monnieri, a popular adaptogen with nootropic benefits. It increases neurotransmitters which improve mood. In addition, Bacopa monnieri also protects your brain from oxidative damage and helps your body combat stress. Bacopa monnieri is the best nootropic herb in this stack. Alpha-Glyceryl Phosphoryl Choline (Alpha GPC) – It is a choline donor which enhances your attention and memory to support your cognition. Alpha GPC increases the production of acetylcholine and growth hormone production. DL-Phenylalanine – This is a form of essential amino acid which acts as an antidepressant while improving alertness, memory, and learning. DL-Phenylalanine easily crosses the blood-brain barrier, so the brain easily utilizes it. Acetyl-L-Carnitine HCl – This advanced form of l-carnitine (arguably the most popular fat-burning ingredient on the market) to cross the blood-brain barrier easily. This increases energy in your brain which helps boost your cognitive abilities. In addition, Acetyl-L-Carnitine HCl promotes a synergistic effect with choline donors. However, it is most beneficial for the elderly. 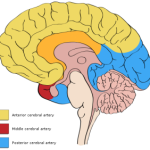 N-Acetyl-L-Tyrosine – The brain burns catecholamine neurotransmitters during stressful activity. This advanced form of l-Tyrosine has anxiolytic activity and it also improves neuronal communication. As a nootropic, n-acetyl-l-tyrosine improves your attention, motivation, and concentration while enhancing your memory and learning to help you perform better in your daily cognitive tasks. Uridine-‘5-Monophosphate disodium – This is a nucleic acid which helps with neuroregulatory processes. In addition, it also helps with short- and long-term memory, learning, attention, and overall cognitive function. Uridine promotes a synergistic effect with choline donors, DHA, and other phospholipids to further enhance your brain function. Taurine – It is an organic amino sulfonic acid with potent antioxidant activity. Taurine also enhances your focused relaxation abilities. This, in turn, helps you with your daily cognitive tasks. In addition, taurine has an anxiolytic effect which activates GABA and Glycine receptors. L-Theanine – This is one of the most popular nootropic herbs which makes you feel calm yet mentally energized. L-Theanine is beneficial for your creativity, learning, and mental clarity. It is also beneficial for brain cell protection. Finally, it helps offset the stimulatory effects of caffeine. You can find l-theanine in many pre-workout supplements. Rhodiola rosea Root (3% rosavins; 1% salidrosides) – This herb is probably the most popular adaptogen which is beneficial for your body and mind. As a nootropic herb, Rhodiola rosea is beneficial for your memory and focus. It also helps you combat the effects of stress on your body and mind. Organic Coffeeberry® (90 mg caffeine) whole coffee (Coffea arabica) Fruit Extract – Even though caffeine is not a nootropic in itself, coffee beans are rich in antioxidants which are greatly beneficial for your body and mind. In addition, coffee increases your alertness and energy to fuel your cognitive activities. Methylxanthines of cocoa and coffee beans also benefit your overall health. Caffeine also boosts the energy of your body and mind. Just keep in mind caffeine has certain side effects, so don’t go overboard. Benfotiamine – Is a synthetic derivative of Vitamin B1 which offers neuroprotective benefits. Benfotiamine is a good source of Vitamin B1 which enhances your energy, mood, and alertness. In addition, it also protects your brain from neurodegeneration. Mucuna pruriens Seed (50% L-Dopa) – L-dopa is an adaptogen which has neuroprotective properties. It also modulates the neurotransmitters dopamine, noradrenaline, adrenaline, and serotonin in the brain to support mood and cognition. In addition, l-dopa also helps regulate growth hormone and cortisol to promote physical and cognitive health. Men may also get additional benefits from Mucuna pruriens because it is a potent testosterone and sperm count booster. Theobromine – Is a methylxanthine which increases alertness, attention, and executive brain function. Theobromine is also a central nervous system stimulant with slower onset and longer duration than caffeine, so you won’t experience crashes with theobromine. In addition, it speeds up your reaction time and mental processing. Celastrus paniculatus Seed Extract – This Ayurvedic medicine is well-known for its nootropic and neuroprotective benefits. There are multiple bioactive compounds in this herb which work together to give you cognitive benefits. In addition, Celastrus paniculatus seed extract has known anxiolytic, antidepressant, analgesic, and anti-inflammatory effects as described by science. Ginkgo biloba Leaf Extract (24% glycosides) – Ginkgo biloba is full of flavonoids which has potent anti-aging benefits. As a nootropic, the main benefits of Ginkgo biloba are neurogenesis and neuronal survival. However, the benefits of this herb doesn’t end there – it also helps improve your memory and attention. Coleus forskohlii Root (20% Forskolin) – This herb is an adaptogen and a nootropic. It has a reputation for improving learning, memory, and mental stamina. Coleus forskohlii also has anti-inflammatory and anti-fatigue benefits which also boost your brain and overall health. Huperzine A (Huperzia serrata leaf standardized extract) – Is a potent natural synaptic enzyme modulator. It helps with cell-to-cell communication which hastens your reaction and problem solving time. In addition, studies suggest that Huperzine A is a disease-modifying herb which supports learning, memory, and neuroplasticity. The ingredients of Qualia Focus deliver these benefits which the manufacturer listed on its website. The formula of Qualia Focus touches every neurological aspect necessary for your focus and overall mental performance. When you’re focused on your specific task, you can become more productive. Qualia Focus also provides brain nutrition to maintain your brain’s health and energy. Qualia Focus is a straightforward nootropic formula which gives you a boost in your daily cognitive tasks. All of the ingredients of Qualia Focus work well together to promote a synergistic effect. In addition, don’t expect any negative ingredient interactions from this formula since it contains fewer ingredients than Qualia and Qualia Mind. The fewer ingredients of Qualia Focus helped lower the cost. However, it doesn’t fail to deliver nootropic benefits that you expect from a premium supplement. Qualia Focus provides potent dosages for all of its 24 active ingredients. You don’t have to be too concerned about the quality of ingredients. The reason: most of them are in their advanced and highly-absorbable forms. You can maximize your brain’s focus and potential in your daily tasks with Qualia Focus. Qualia Focus is a refined nootropic stack which boosts your mental performance. However, despite its effectiveness and advanced ingredient forms, you can enjoy this Qualia formula without digging deep into your pockets. The company designed Qualia Focus to improve your cognitive abilities primarily by enhancing your focus. The formulation itself focuses on enhancing your cognition directly while protecting your brain’s health. Numerous positive user reviews back up Qualia Focus. Many users say the formula has worked well for them. For an affordable Qualia formula, Qualia Focus provides you with maximum benefits. Long story short, it gives you a great return on your investment. What’s not to like here? 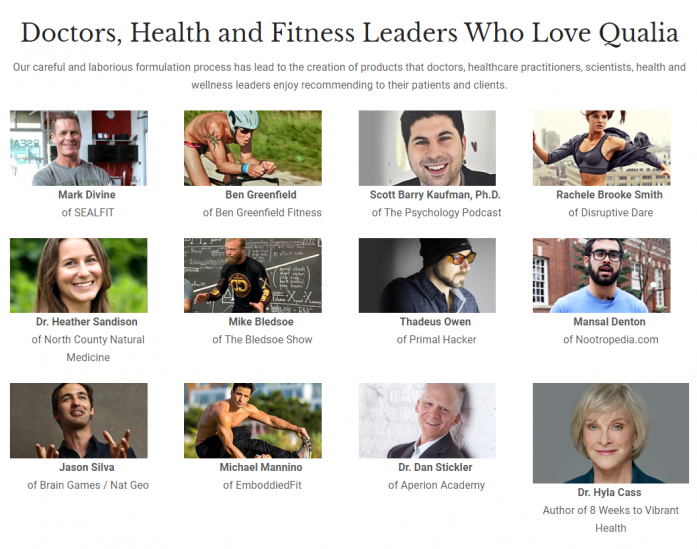 Doctors, health and fitness leaders, scientists, elite performers, and productivity junkies find Qualia Focus an appealing formula. Oftentimes, these are the people hooked on enhancing their brain power to achieve more on a daily basis. However, physically active people are often interested in nootropics, too. If you perform strenuous problem-solving tasks which require an enormous amount of focus, Qualia Focus is one of the most beneficial nootropic stacks for you at this price point. However, it is not the cheapest stack out there. No consumer has reported any serious side effect of Qualia Focus. Even though this formula contains caffeine, it is unlikely to cause jitters due to its low dosage. The presence of theobromine in the formula also works well with caffeine: like we said, the former helps offset the stimulatory effects of the latter. In addition, the formula of Qualia Focus is clean and natural, so it doesn’t raise any red flags. Qualia Focus also contains fewer ingredients than other Qualia formulas so don’t expect any negative ingredient interactions. All-natural. This is an entirely vegan formula which is gluten-free and non-GMO. Adequate dosages. Ingredient dosages pack a punch in Qualia Focus. Affordable. Qualia Focus is the most affordable product in the Qualia lineup as of today. Premium Quality. Even though it is cheaper than other Qualia formulas, Qualia Focus has the same quality as its sister products. Pricey. Qualia Focus is the cheapest Qualia formula on the market. However, when you check out other brands, you can get something cheaper with similar or better nootropic benefits. If you buy Qualia Focus through the Neurohacker Collective website, you’ll find the single order and subscription pricing options. Signing up for the auto shipment “subscription” option will save you $10 on your first shipment. You then save 29 percent on your succeeding purchases. 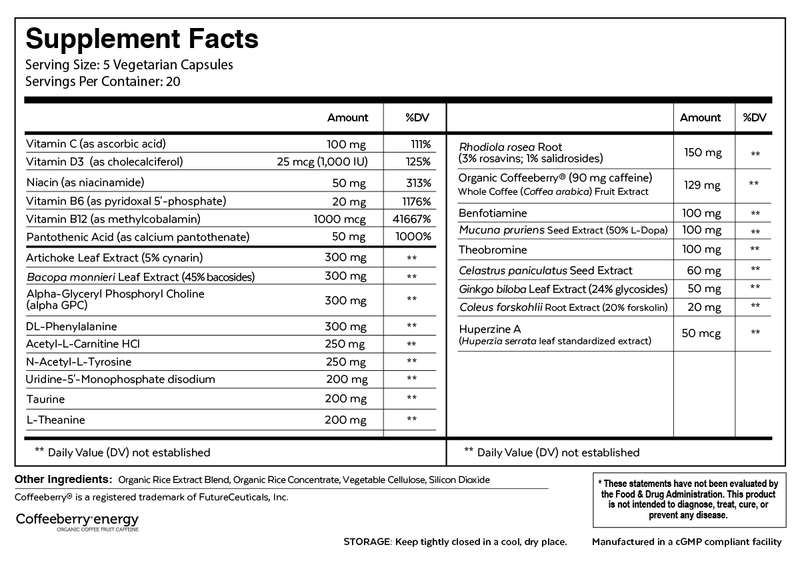 Bear in mind that you’re only receiving 20 days’ worth of servings per bottle of Qualia Focus. However, since Qualia Focus is pretty affordable for a premium nootropic supplement, its usage is quite sustainable. Neurohacker Collective now offers you a more budget-friendly nootropic. 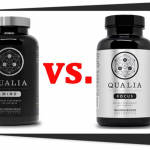 If you are looking for a Qualia nootropic stack which is safe and effective within your budget, you probably won’t have second thoughts on getting Qualia Focus. In addition, Qualia Focus did away with other issues which were found in other Qualia products. Qualia Focus seems to work on the areas of your cognition which matters the most for your daily tasks. If you’re looking for a premium nootropic which is affordable (hence sustainable), you won’t regret getting Qualia Focus.